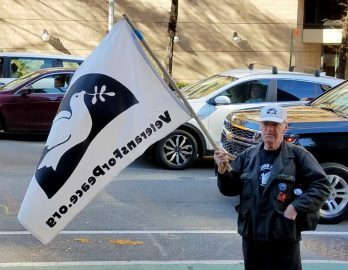 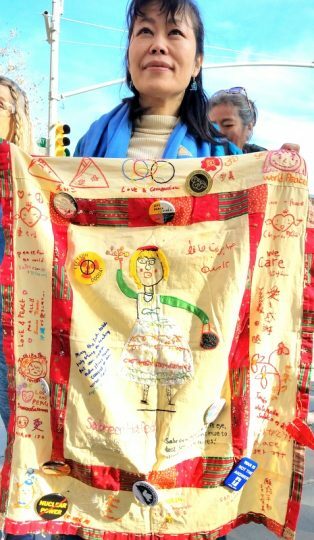 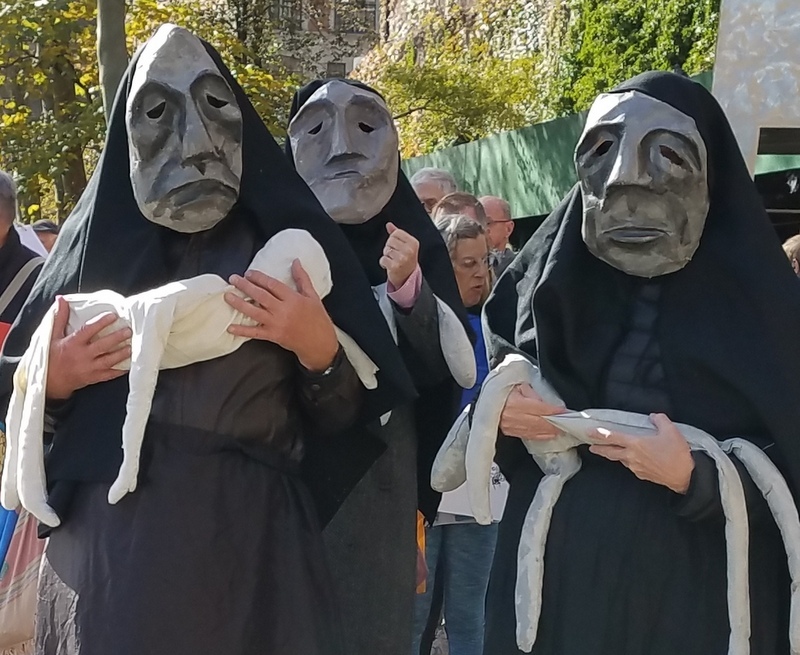 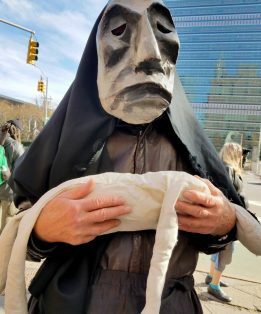 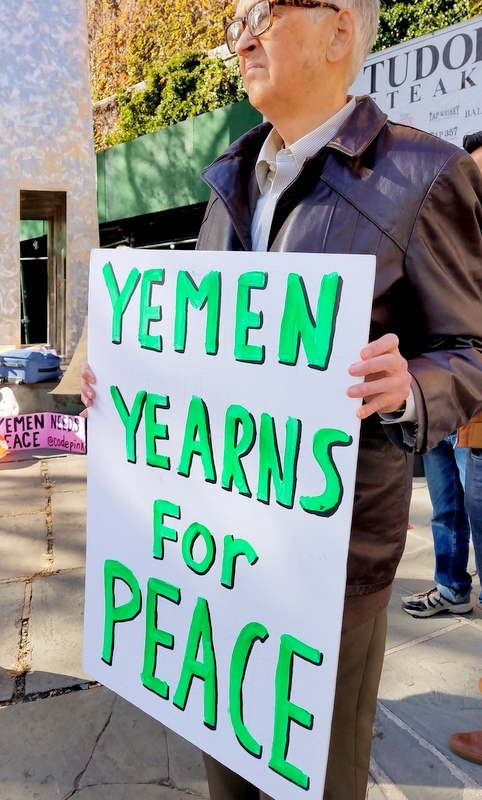 NEW YORK – About 90 peace activists from around the country walked in procession from the United Nations to the Saudi Mission in New York City, and then ended at the Saudi Consulate to call for peace in Yemen, and to demand a halt of weapon sales to Saudi Arabia. 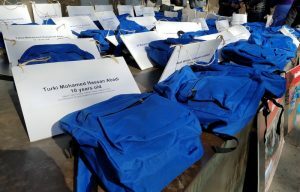 Forty blue backpacks representing the forty blue backpacks belonging to the forty children killed in an August 9, 2018 bombing of a school bus. 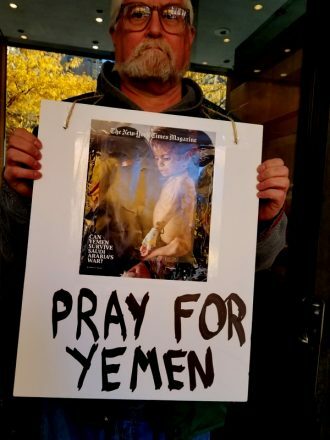 The event followed three days of holding vigils to mourn the deaths of those killed by US bombs responsible for the killing of civilians, but especially the August 9, 2018 bombing of a school bus in Saada that killed 40 children on a field trip, while injuring 39 others. 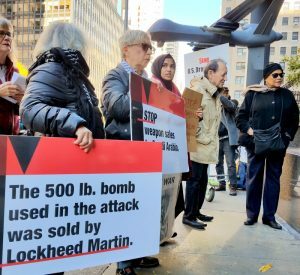 The bomb used was traced to Lockheed Martin, a US weapons manufacturer involved in sales of munitions to Saudi Arabia. 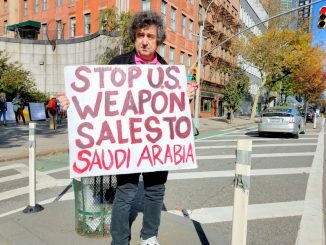 Former US President Barack Obama banned the sale of such weapons to Saudi Arabia in 2016, but the move was overturned by the Trump administration under then-Secretary Rex Tillerson. 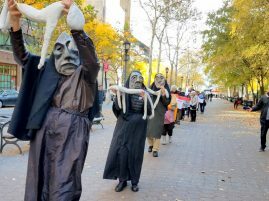 Members of organizations such as Action Corps New York City, Code Pink, War Resisters League, New York Catholic Worker Community, Raging Grannies, World Beyond War, and Voices of Creative Nonviolence supported the action and members of the groups blocked all three entrances to the Saudi Consulate for two hours. 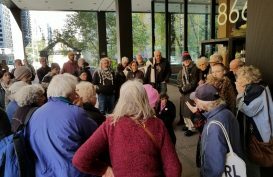 Members of the public along with those employed in the Saudi Consulate who tried to enter the building were told by protesters that it was too dangerous to enter the building. 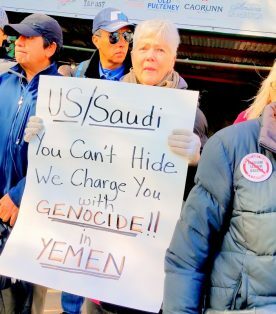 The danger they said, referred to war crimes committed by the governments of Saudi Arabia, and the US for providing military funding and weapons. 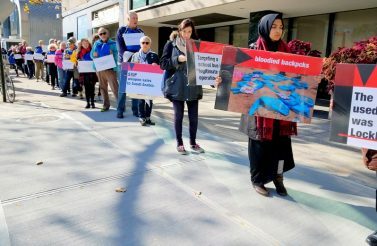 Protesters urged for the acceptance of responsibility on the part of the general public for war crimes in Yemen. 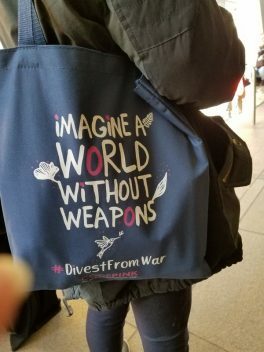 The impetus behind the war? 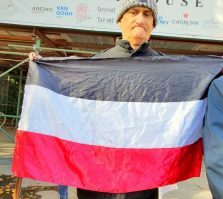 Some say a land grab. 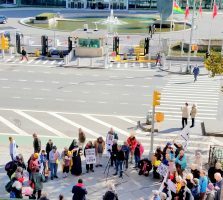 Protesters chose the location of the United Nations building to hold the week’s events in attempt to raise awareness of the ongoing war on the Yemeni people where 2,000 a month are being killed by military aggression for a total believed to soon reach 60,000. 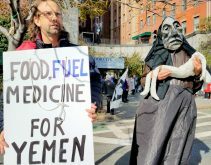 Deaths from a record-level cholera outbreak and starvation push the numbers even higher, and raise the risk of death to fourteen million Yemenis. 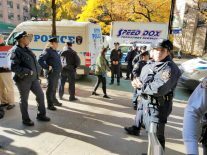 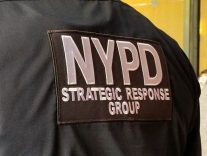 Over two dozen New York City Police Department officers arrived on the scene with zip ties, but made a decision not to arrest protesters. 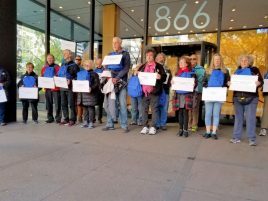 Protesters had earlier said that they were willing to risk arrest in order to raise awareness about the threat to especially children and about 40 blocked Consulate entrances. 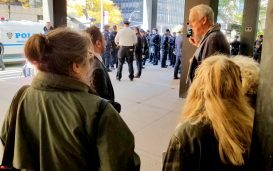 No arrests were made.